The talk first discusses what the Bible says about how the Floodwater drained from off the continents. Then geological evidence for parts of the Earth’s crust rising and parts descending to drain the Floodwater is presented. Geological evidence of sheet currents flowing off the continents is shown in the form of huge erosion of domes and the erosional remnants left behind. All the eroded sediment is deposited at the margin of the continents forming the continental shelf and slope. As the water is moving off the continents, sometimes at high speed, a rough surface is planed smooth by the debris being carried along by the Floodwater. These surfaces are called planation surfaces, if they are flat, and erosion surfaces, if they are rolling. A veneer of the debris is commonly left on top of the planation or erosion surfaces as a thin layer of cobbles and boulders. These rounded rocks from water action sometimes contain percussion marks caused by all the intense turbulence of the draining Floodwater. At the same time, resistant rocks are carried long distances from their sources, documented from the northwest states and adjacent Canada for transport distances of up to 800 miles. All these features are difficult if not impossible to explain by the alternative ideas of mainstream geologists. After sheet flow continued for many days, more and more mountains and plateaus extend above the draining Floodwater, forcing the water to channelized around these objects. Channelized flow, therefore, carves valleys and canyons rapidly, and creates many other features that are difficult if not impossible to explain by mainstream geologists. Such features include water and wind gaps, which are perpendicular cuts through mountains, ridges, or plateaus; pediments, which are planation surfaces at the foots of mountains or ridges; and submarine canyons that are cut perpendicular to the shoreline through the continental shelf and slope. Michael J. Oard is a creation scientist with a specialization in Atmospheric Science. He is a prolific author who has published numerous books and papers in widely recognized creationist and secular journals. He worked for close to 30 years as a meteorologist/weather forecaster with the (US) National Weather Service, and now dedicates much of his time to creation science research. Mike's research interested have focused primarily on topics such as evidence for Noah's flood, the Ice Age, and the mass extinction of the Woolly Mammoths. He speaks regularly at creation conferences and other venues and has served on the board of directors of the Creation Research Society since 2001. Mike received his Masters of Science degree in Atmospheric Science from the University of Washington in 1973. 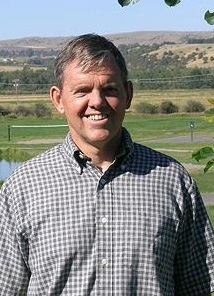 He then worked as a meteorologist for the U.S. National Weather Service until 2001, and as the lead forecaster in Montana from 1981 to 2001.